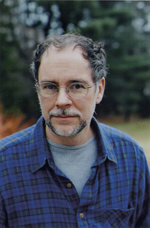 Prolific American author Gregory Maguire is best known for his adept reimaginings of classic children's tales, like Snow White, Cinderella, and The Wonderful Wizard of Oz. 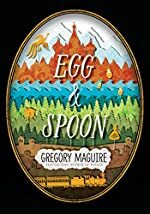 His latest work, Egg & Spoon follows the adventures of a princess and a peasant girl—along with a host of interesting and absurd companions—in their home country of early 20th century Russia. Maguire's passion for children's literature extends beyond writing, into teaching, as well as co-founding Children's Literature New England, a nonprofit devoted to promoting awareness of the significance of literature in children's lives. For readers who haven't had a chance to read Egg & Spoon yet, can you give us the nutshell version of the story? A friend who read the book recently said that Baba Yaga reminded her of Phyllis Diller. I am glad I didn’t think of that myself... Though your question puts me in mind of other grotesquely egocentric characters. I shall restrain myself only to characters in literature, not in the political sphere... Baba Yaga, as I see her now that you ask, is a little bit of Vicki Lawrence’s Mama in those Carol Burnett skits; and a little bit of Barbra Streisand being Dolly Levi; and maybe Madeline Kahn in Blazing Saddles; and certainly Miss Piggy. But this is a review of influences after the fact: the witch just spoke herself to me with wit, with lacerating antagonism and iconoclasm, and with the loopy disassociatedness of someone on the edge of a mild mental disorder. Many adult readers know you as the man who brought The Wicked Witch of the West to life, and now you've given us a Baba Yaga who is many things, including relatable. What is it about witches that draws you to them as characters? Egg & Spoon is narrated by Brother Uri, an imprisoned monk who sees events unfold through the eyes of birds. Who or what inspired Brother Uri's character? The book is full of axiomatic statements that, I felt, really rang true—"That's the beginning of heroism, the decision to try," "Liberty is costly, but so glamorous," for example. Are these based on things you believe, or are they more the product of the nature of the story? The setting of Egg and Spoon is rather far removed from most audiences: turn of the 20th century Tsarist Russia, magic and mayhem abound. Still, the book revolves around themes that are very relevant today: distribution of wealth and poverty, human influences on natural forces knocking things off-kilter (climate change). How do you think (or hope) that couching such modern issues in fantastical terms will help audiences take these matters to heart? Emily Dickinson said it most tersely: “Tell all the Truth but tell it slant.” The truth about global warming and its potential impact—massive shifts in food production and distribution—are so terrifying, even to me, that I can hardly look at the matter full in the face. Yet I know that I must grapple with reality, and so must the young. So I hope to put the situations we all face together into a plot that allows for distance, humor, and the chance of resolution. Holding a problem a little at bay allows one to turn the situation around, much like that Fabergé egg, and to peer at the situation from different points of view. Any great social dilemma requires such careful and detached observation. Think about what Uncle Tom's Cabin did! I don’t pretend to be rallying armies—but an army of one, some child who gets it, might end up being the army we need: a child who learns to think creatively about some of these problems, and who might begin to propose some new solutions. You did an impressive job of making almost no character in this book appear 100% good or 100% evil—there is ambiguity in everyone. Was it hard to achieve this? Did you find yourself favoring some characters over others? There was no character I disliked in this book—there hardly ever is. The more annoying characters become, the more human they seem to me. And the more kinks in their characters, I believe, the more believable their virtues, when and if such virtues show themselves. I suppose the ice-dragon himself was the character I liked least, because he is the least amenable to change—but then, why should an ice-dragon have human characteristics, any more than slavering wolves hungering after people in a sleigh, wolves who are seldom responsive to petitions for mercy? I greatly enjoyed coming up with the scene in which Baba Yaga tells Cat about the four systems of sharing: sharing the ownership together (the way New England villages had “commons” for the grazing of community cattle); sharing in portions; sharing in time; or sharing in want when there is nothing left. I developed that lesson in trying to teach my own kids how to share, and it was fun to put it in the mouth of Baba Yaga. Do you hope to return to Miersk, Baba Yaga, and the gang in future work? I wrote The Dream Stealer, originally published in 1983, which had Miersk and Baba Yaga in it. Egg & Spoon comes out 31 years later, in 2014. So I suppose you should mark your calendars for September 2045, when a new volume may emerge. The working title is A Samovar For Noodnik. I’m just kidding. I don’t have plans to return to Miersk at the moment. But you know, after I wrote The Dream Stealer, I was on a flight to the West Coast a few months later, and I took a cocktail napkin and I sketched out three other books that might make a quartet of stories about Miersk. I don’t have that napkin any more, but to the best of my recollection one of the phrases I jotted down was "the ice-dragon" and another was "the dragon-tooth boy." Maybe this is false memory syndrome at play, those exact phrases, but that’s what I recall. Anywhere and any time my children are not. Which is to say, as soon as I hustle them out the door to their school buses, I do an hour’s worth of household chores and then head out to a nearby cafe to start the day’s work. I then come back with my laptop and keep working till lunchtime. I did enjoy The Glass Sentence by S E Grove, a splashy new fantasy starting a new series. Also Third Rail by Rory Flynn, a great gritty Boston crime novel, just out. This morning I finished the second of Hilary Mantel’s two books about Thomas Cromwell and Henry the VIII. The second one is called Bring Up the Bodies. It was so chilling I feel I need a little dose of something like Frog and Toad Are Friends to set my internal combustion engine working correctly again. What is your home library like? What sorts of books would we find there? I have a wonderful collection of fantasy—the library looks like a good children’s room in a public library from about 1972. The great fantasies of my childhood reading—P.L. Travers, Mary Norton, C.S. Lewis, Tolkien, Jane Langton, E. Nesbit, Edward Eager, all those greats—and some modern masters who belong there too, like Natalie Babbitt, Philip Pullman, Sylvia Waugh. But that’s just the second floor library. The first floor library is full of 19th and early 20th c. novels in English (Dickens, Forster, V. Woolf, E Waugh, Nabokov). Also poetry—my poetry collection is probably bigger than my fiction collection. My favorites are Emily Dickinson, Keats, A.R. Ammons, Ruth Stone, Louise Glück in The Wild Iris, Eavan Boland. Stephen Sandy. Some Coleridge. I've heard that Universal has already optioned Egg & Spoon for a film—congratulations! What are you working on now? Can you tell us what's up next for you? I have already handed in an adult novel for release next fall, but I am keeping mum about it until it is ready to go. I’m awaiting a response from my editor. But it will be ready for October 2015, that much I’m sure of. After that, I don’t know. Three or four ideas are flitting around my head, making whiney noises like mosquitoes, but so far nothing has landed and bit and infected me with the virus, the survival from which requires the writing of a novel to expel the obsession from my waking and dreaming life.